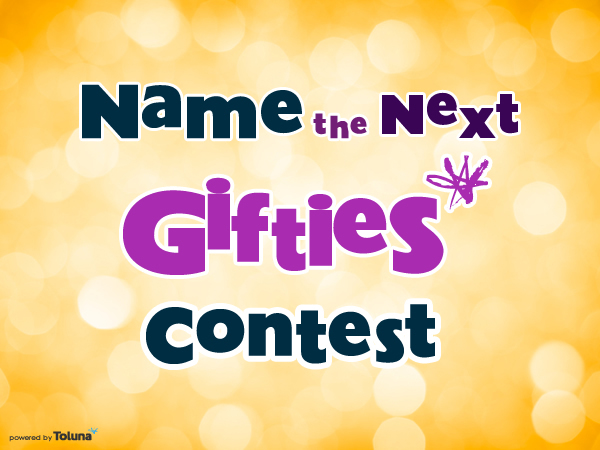 Win 15,000 points in our Name-A-Gifties Contest! Back by popular demand, we’re asking you to tell us what to add next in the Gifties catalog! This month, we’re running a special 2-part promotion, where you get to suggest the next Giftie. To participate in this month’s contest, simply visit our Toluna topic and post your suggestion* for what our next Gifties item should be. The member with the winning suggestion will see their submission added to the Gifties catalog by March 2nd, and will be awarded 15,000 points! We’ll be accepting your Gifties suggestions up until 5pm EST on Tuesday, February 17th, 2015. The Toluna Team will then review all submissions and select our top 5 choices by February 18th, 2015. As a special bonus, we will award 1,000 points to the members who provide us those top 5 choices! For part 2 of this contest, the top 5 will be announced to you through our blog and a Toluna Team poll. From here the decision is all yours. The suggestion with the most votes wins! Just be sure to cast your vote by Tuesday, February 24th, because the winner will be announced on Friday, February 27th. Now it’s time to send us those Gifties ideas! We can’t wait to hear your suggestions.